Join us and meet author Barry Eaton as he discusses his fascinating new book Past Lives Unveiled. "Living multiple lives over countless years provides us with the opportunity to have as many experiences as needed to understand ourselves and our place in the universe as a part of ‘all that there is,’” says author Barry Eaton. His new book Past Lives Unveiled is a comprehensive look at the why of reincarnation, covering topics such as the purpose of our soul families, physical impacts from the past, the psychic cords that bind us, and why children have a better memory of past lives. It includes numerous case studies, including absorbing accounts of the author’s own past lives in ancient Greece and the US at the time of the civil war, as well as the intriguing hypnotic regressions of two sisters by eminent psychologist, author and past life expert Dr Michael Newton. Regressed independently by Dr Newton, the sisters went back to life in a Stone Age tribe, the details of which have until now been limited to members of the Newton Institute. What is the reality of the spirit world? What lies at the mysterious realm of life between lives? Do our past lives really catch up with us in the present? Barry Eaton has a wide background in all areas of the media and entertainment industries. He is a highly experienced radio and TV presenter, having spent many years with the Australian Broadcasting Corporation and various commercial radio and TV stations. He lectured in radio journalism and production at Macleay College. 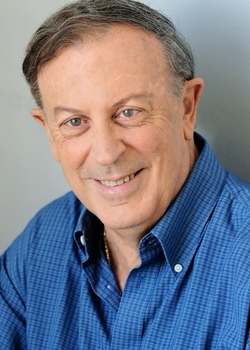 Barry produces and hosts the internet radio program RadioOutThere.com, now in its 17th year, which enjoys a worldwide audience. Barry is a qualified astrologer, psychic and medium and in 2012 did what he terms a postgraduate course in mediumship at the world-famous Arthur Findlay College in the UK. He was also given the 2012 Hall of Fame Award by the Australian Psychics Association. His previous books include the international bestseller, Afterlife – Uncovering the Secrets of Life After Death, No Goodbyes: Insights from the Heaven World, and The Joy of Living.